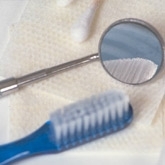 DentalPlans.com provides a hassle-free way to search our huge dentist directory to find a dentist in Torrance, CA. Simply type in your ZIP code to review the leading discount dental plans and participating dentists available in Torrance, CA. Join the plan that best fits your needs and save on your dental care bills at dentists such as Dr. Leila Farhang-azad. Then, you can make an appointment with Dr. Leila Farhang-azad in Torrance to save money on General Dentistry and more. Our individual and family discount dental plans start at $79.95 per year and $129.95 per year respectively, and include discounts on many dental care services such as General Dentistry. We make it easy for you to search the most dental care providers in combined networks anywhere! So if you need to see a dentist or specialist about a teeth cleaning, fillings, root canal, dental crown, braces, or even dentures, we feature a wide selection of many dental care specialists and dentists in Torrance, CA.